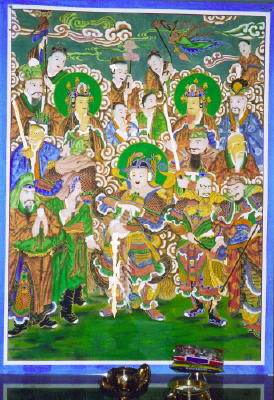 really arrived by mid-April. 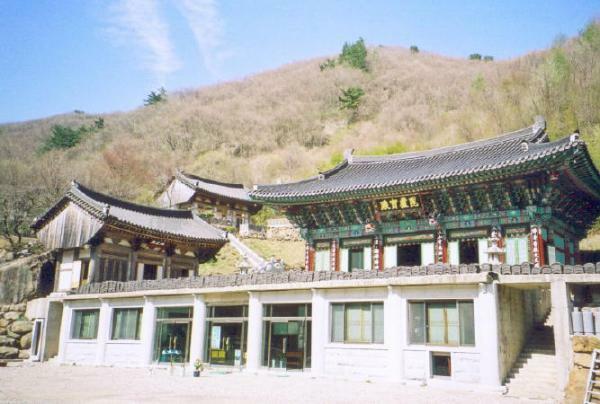 Only one monk lives in this ambitious but remote hermitage, with a few acolytes. 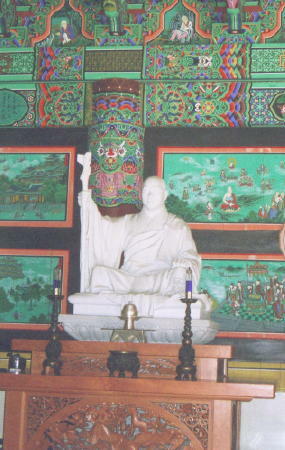 characteristic of a male king In Korean iconography -- this is pretty rare. 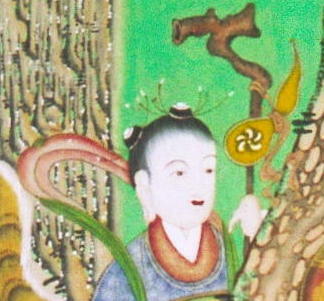 holding a sprig of bullocho, appropriately feminine. 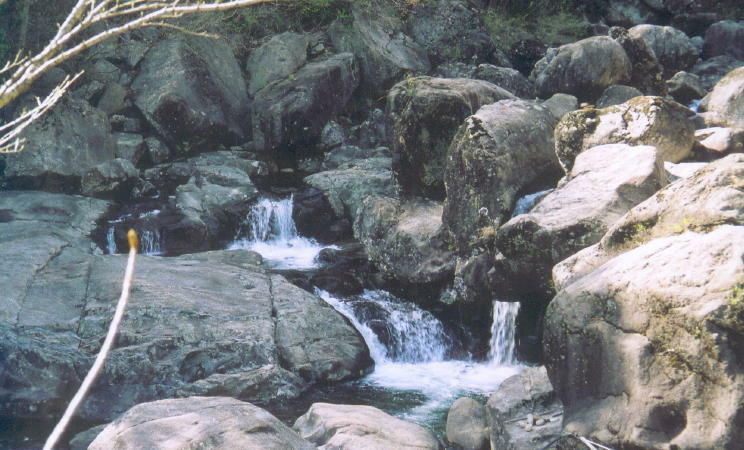 Myriad boulders and clean tumbling waters of the seldom-visited Dojang-gol [Tao-Protection Gorge]. 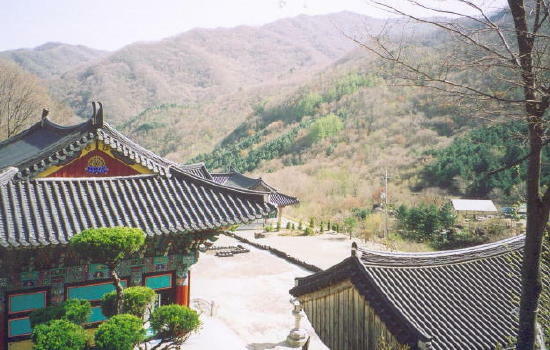 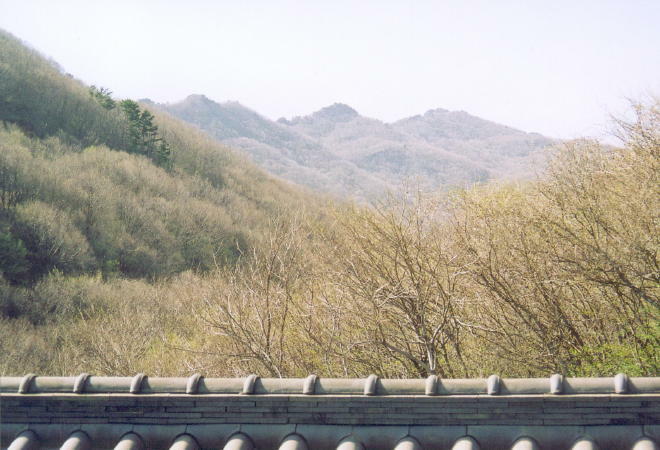 View of the southern Jiri mountains, and a statue of the teacher of this monastery's founder in the Main Hall. 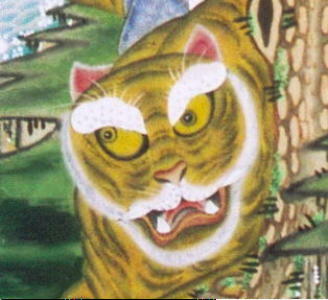 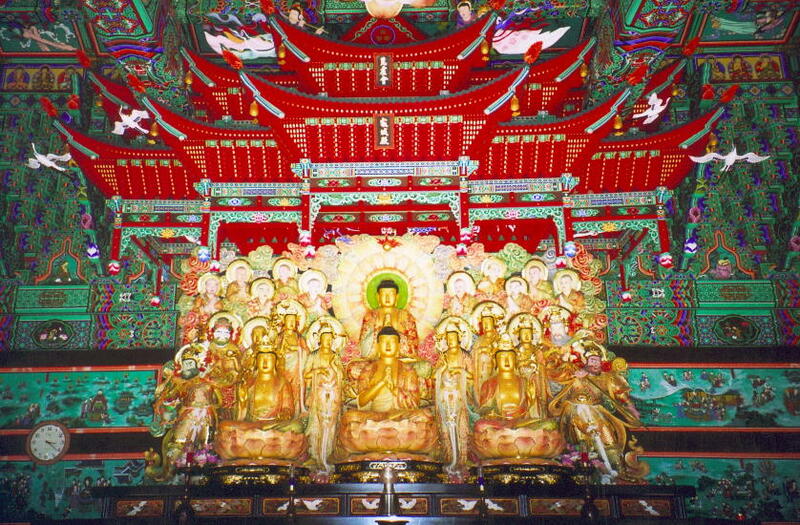 and the Celestial Kings of the Four Directions; great dancheong and didactic paintings are seen on the wall. 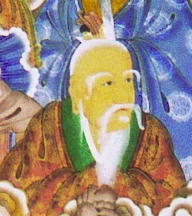 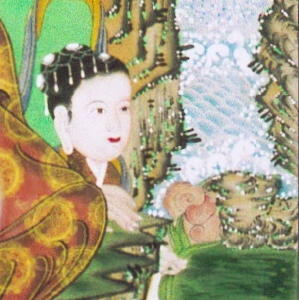 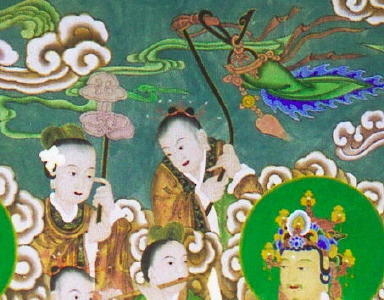 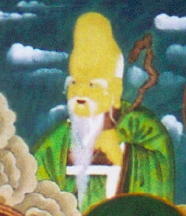 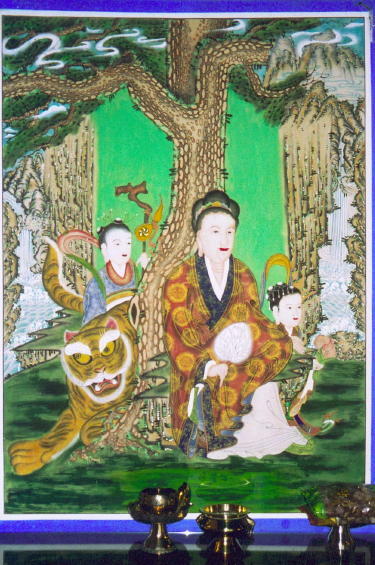 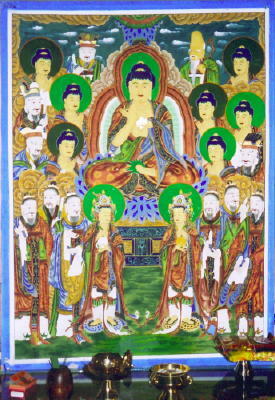 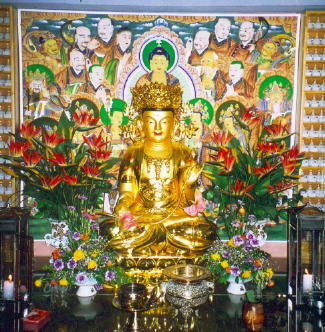 of a painting of Amita Buddha flanked by Gwanse-eum and Jijang Bosals (curious!) 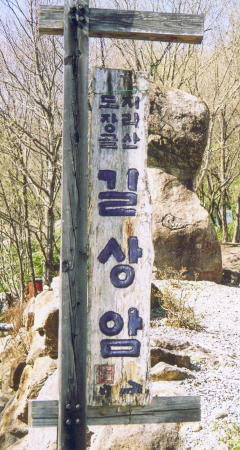 and a Shinjung-taenghwa.